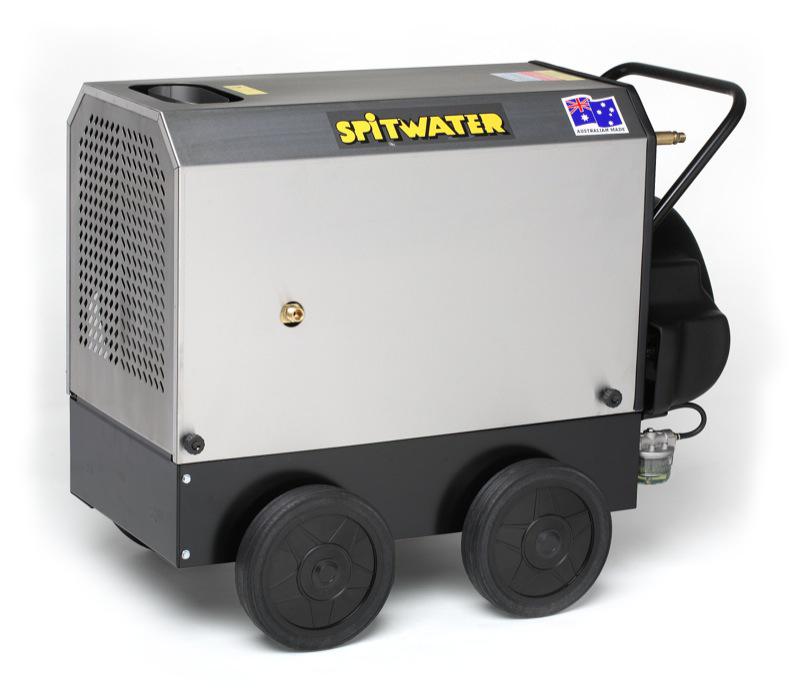 A Spitwater heating cylinder is the simple solution for hotwater when you only have a cold water machine. Just plug the cylinder into a standard 10 AMP plug, put some diesel into the tank, connect up the hoses and you are ready to go. These heating cylinders can be coupled to most cold water pressure cleaners, single and three phase, petrol and diesel driven. Heating water up to 95° C, it handles pressures up to 3650 psi and flows up to 21 litres per minute.